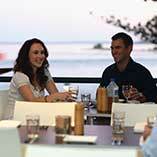 Luxury Caloundra Holiday Apartments with stunning coastal views. Please be advised there will be building works at Burgess between 7 May and 21 May. During this period, there will be some associated noise. The swimming pool, spa, tennis court, BBQ and sauna will not be available during this period. 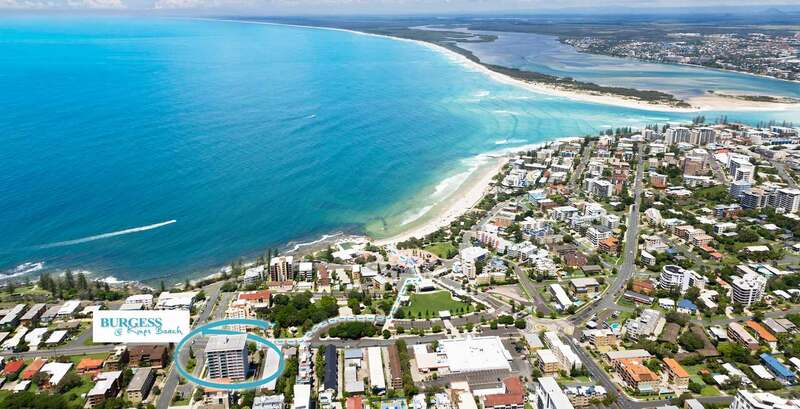 Burgess@Kings Beach is located high on the Caloundra Headland with coastal views north to Point Cartwright and south over the Pumicestone Passage, Bribie Island, Glasshouse Mountains, Caloundra’s waterways and Brisbane’s busy shipping channel. 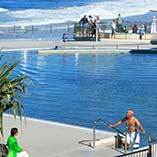 It is only a 3 minute walk through extensive foreshore parkland to children’s playgrounds, tavern, alfresco dining, ocean pool, Kings Park amphitheatre and Kings Beach, the premier patrolled surf beach in Caloundra. Alternatively, a 5 minute walk in the other direction takes you to the picnic grounds at the tranquil Shelly Beach. Complimentary recreational facilities allow you to laze by or swim in a 15m outdoor pool (with children’s wading area), have a therapeutic hot spa, sauna or a game of tennis in the landscaped gardens. Then cook yourself a feast on the poolside BBQ. 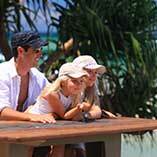 Other popular activities are spotting the dolphins and commercial ships from your private balcony. While on the balcony, watch for whales as they migrate to and from their breeding grounds! There is a lift from your secure underground carpark to your apartment meaning you won’t need to struggle up a staircase with your luggage and groceries. Your ultra-spacious 2 or 3 bedroom self-cater Sunshine Coast holiday apartment in a resort setting is ideal for short and long stays. 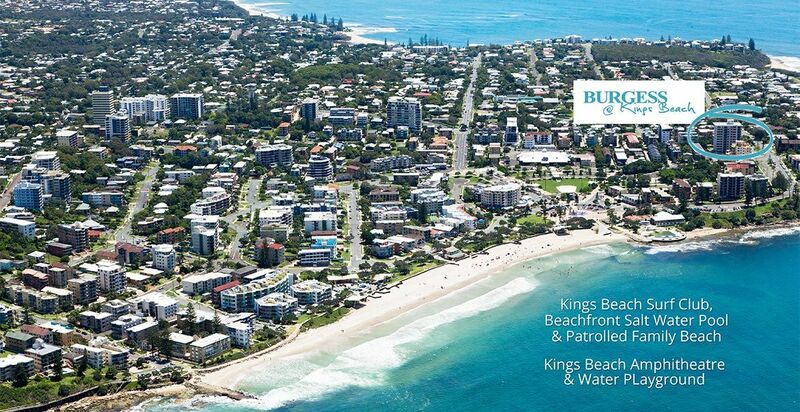 Use Burgess@KingsBeach apartments as your base to explore the many offerings of the Sunshine Coast.